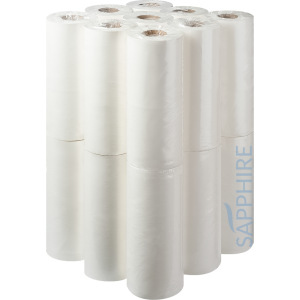 Sapphire 10” 2 ply Hygiene Rolls are manufactured using a high quality blue or white tissue paper. 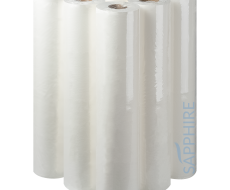 Thisp product offers the very best lining for medical and beauty equipment, providing additional protection for end users. Each roll comes 250mm wide and available in 40m and 50m lengths. 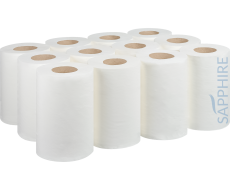 we also stock an embossed 32m roll. 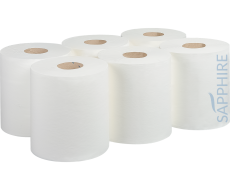 – UK manufactured – Each roll is polythene wrapped for increased hygiene – Easy tear perforations on each roll – Soft and gentle on skin – CHSA accredited.